Google’s efforts to create the most value for their AdWords customers may start to backfire on them. With all the great data that the new Google AdWords Beta is supplying to advertisers, a new feature has many upset about automatically generated ads going live without their knowledge. As of recently, Google AdWords started creating Search ad suggestions for an unknown number of accounts—and it could be happening without the knowledge of the account manager. If you’re a “set it and forget it” kind of AdWords manager, you might not have realized that these ads are even running–and you are paying for it. This AdWords feature gives you 14 days to review their ad suggestions, and if you don’t happen to check your account during that time, those ads will start running. Inside of the new AdWords Beta experience, navigate to the Opportunities tab (or click on the link in the notification email). Select the ad suggestion opportunity (there are typically a few “opportunities”) -> Select “Change Settings”. This brings you to the “Account settings” page which is also accessible from the normal settings menu option. This allows you to turn off automatic apply for ad suggestions. 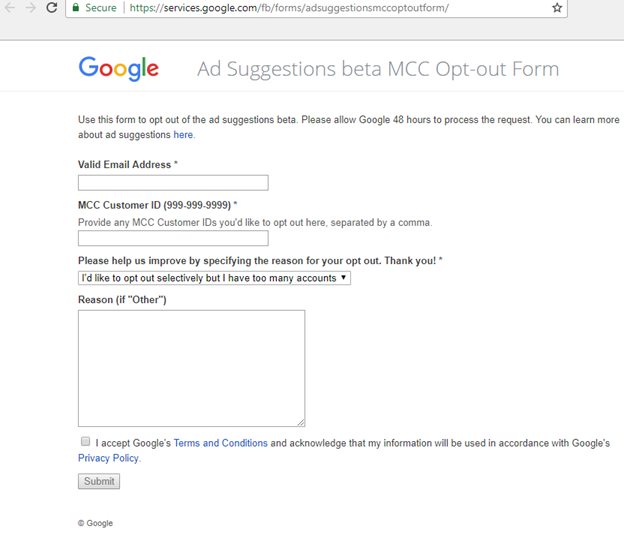 By clicking the “Learn more” next to the short description in the right, it brings you to a Google Support page, which includes a link to disable this setting globally for an MCC account. Aside from spending your money without your explicit consent, this new AdWords feature poses a risk to advertisers in industries where wording can result in a lawsuit. Doctors, Lawyers and other heavily regulated industries are careful to craft their ads for compliance. If these ads are rolling out without their knowledge, they could potentially have a huge problem on their hands. 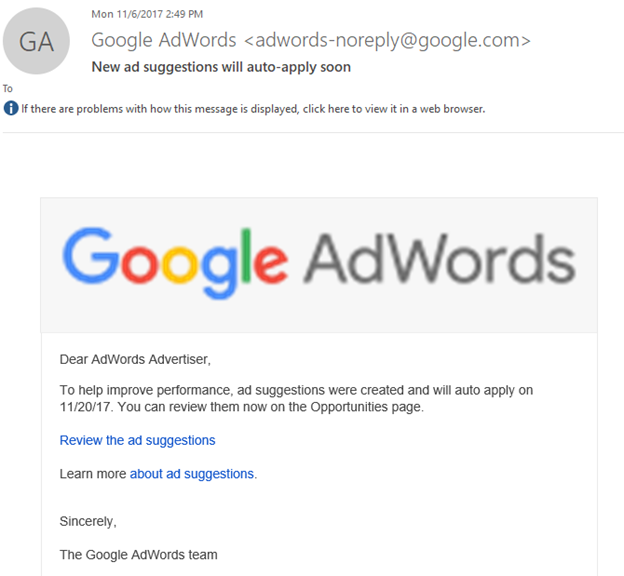 Even if you stay away from specific phrasing for non-regulatory personal reasons, Google can still be rolling out ads if you missed their email and failed to opt out. 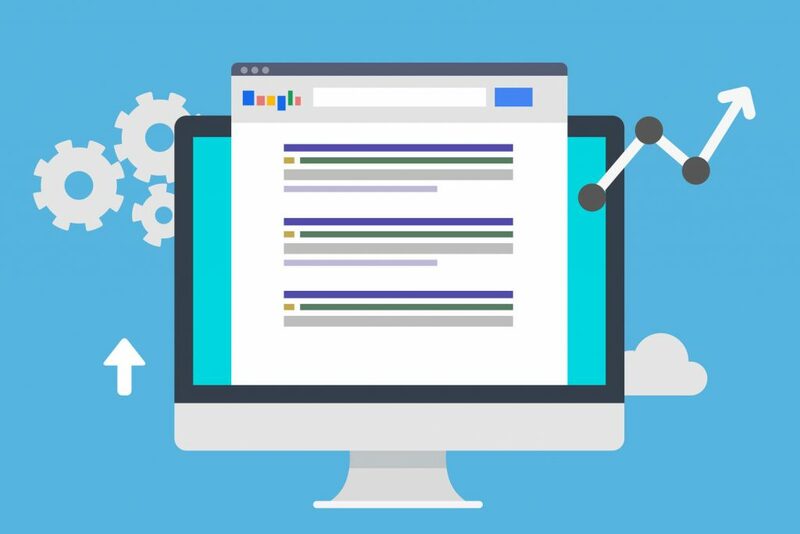 According to Google, the ads are based on ads that you’ve run previously, using the same keywords, headlines, descriptions, ad extensions and information on the landing page. This is by no means a foolproof method. If you do not decide to opt out of the automated suggestions, you’ll want to monitor closely. New ad suggestions could appear in your account as frequently as every seven days, or whenever Google deems there is an opportunity for performance improvement. While there are potential benefits that can come from this feature, advertisers should be aware of the risks that automated ads could pose. This entry was posted in Industry Topics, Interact Marketing Blog. Bookmark the permalink.